Travelers in Bali are always drawn to the nightlife of Kuta, the nice hotels of Seminyak, the lush forests of Ubud, and the amazing views of Mount Batur. However, Bali has a lot more to offer than just the mainstream tourist locations. Fortunately, there are still places in Bali where you can get away from the tourist hordes and get a taste of traditional Balinese culture and experience a relaxing island life where the days are long and nightlife is non-existent. That’s what this article is all about! The best hidden gems in Bali that will help you get to know the less touristy side of the island. Sinuous ribbons of azure unfold on all sides of this small fishing village in the northern coast of West Bali. Pemuteran is located around 4 hours away from Denpasar, which might sound like a long journey but it’s definitely worth it. The village is comfortably situated between the rugged central mountains of Bali and lies on an extinct volcano crater. Pemuteran is famous for its flourishing coral reefs and most tourists come here on a one-day trip for one reason. Diving! The place can get a bit crowded during the day but as the day winds down, there are only a handful of places in Bali where you’ll find such blissful sunsets and peaceful atmosphere in the evening. 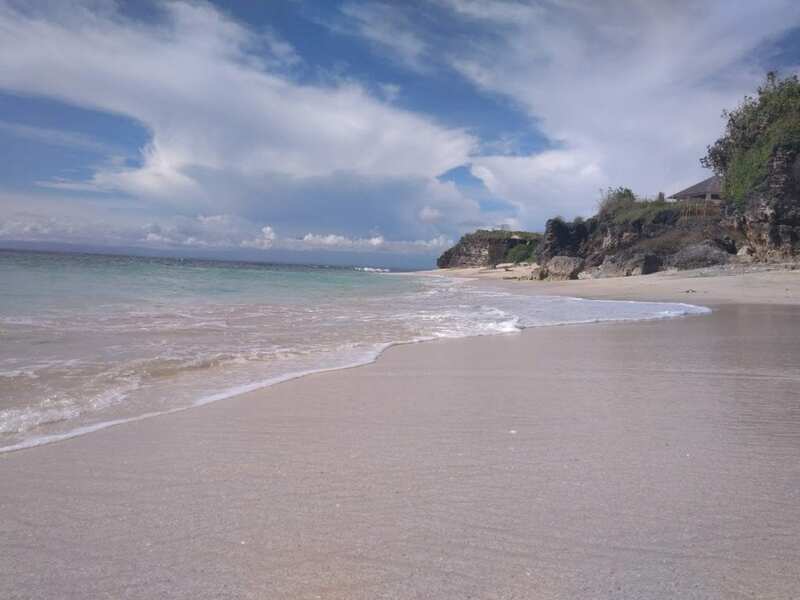 Located just off the Denpasar-Gilimanuk highway, Yeh Leh is not your typical white sandy beach. Instead, you’ll find hundreds of boulders littering the shore. These mysterious rocks have been around for hundreds of years and not a lot of people know about their origin. If you want to visit Yeh Leh, I suggest you hurry up. This beach is becoming more and more famous every day as more sunset photos of it appear on the internet. If you ask me, Pekutatan is one of the last places in Bali where you can see no street vendors and no bars filled with foreigners. This is the case, mainly because this lovely resort is miles away from anything but as soon as you get to the beautiful coast, you’ll realize you don’t need anything else. The rocks on the beach which you saw in the picture above were carved out by lava thousands of years ago and they add a special touch to the already beautiful surrounding. All this makes Pekutatan one of the last remaining hidden gems in Bali. Are you wondering what all you need to pack for your Bali trip? Check out my ultimate Bali packing list. Many people know Suluban as one of the best surfing spots in Bali but the cave surrounding the coast is a real gem if you ask me. 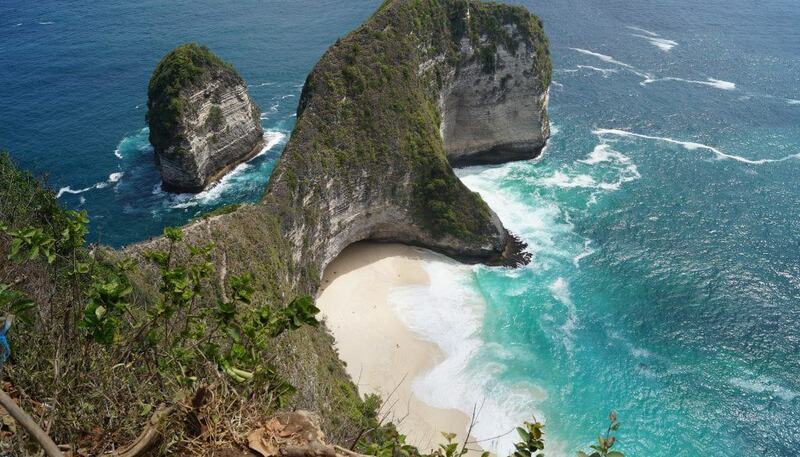 This is one of Bali’s most unique coasts, concealed by limestone formations and only accessible via a long stairway. Obviously, this isn’t the ideal beach for sunbathing but you can sure take some amazing photographs here. The coast looks like it’s ready for the next part of “Pirates of the Caribbean”. According to the locals, water has been flowing around here only since 2015. That’s probably the main reason why this Instagrammable waterfall still isn’t under a constant tourist siege. Apparently, everything happened after a praying ceremony in an unusually dry year. If you ask many locals, they will tell you that the waterfall is a blessing for the villagers. And it’s true- Kanto Lampo has been attracting an increasing number of tourists in this previously unfrequented part of Bali. Only recently discovered by tourists, Tukad Cepung is one of Bali’s most spectacular waterfalls and as close to nature as one can get! The waterfall is unfrequented mainly because the road to it goes through a long stairway that requires a certain level of stamina. It will be a tiring adventure but the sight of the Tukad Cepung Falls is definitely worth it. If you decide to visit, do check the river levels before you head for the falls. Rapid flooding isn’t an uncommon sight, especially when it’s raining. This is one of those places in Bali where a walk in any direction feels like a talk with nature. The picturesque rice fields and the lush, green hills are perfect for people that want to get away from the tourist crowds. Most of the tourists that visit Bali usually head to the beaches and that’s why we still have places like Sidemen remain relatively unfrequented. Personally, I think now is the right time to visit Sidemen and that Sidemen is the new Ubud. So, you better get there until the place is still authentic, quiet, and (relatively) tourist-free. This is one of the best-kept hidden gems in Bali, mainly because it’s difficult to reach. In order to get to the Little Grotto of Undisan Bangli, you have to navigate through miles of lush forests and rough terrain. The Green Cliffs of Undisan Bangli are basically giant cliffs covered in moss that tower over the sides of the ravine. If you follow the green cliffs and dive in at the place where they start to merge, you’ll inevitably discover the wonder of nature that the green cliffs are trying to hide from the world: the Little Grotto of Undisan Bangli. Amed is another charming, fishing village where you can experience relaxing island life at its finest. The best part about Amed is that it’s surrounded by 6 other villages stretched out along the coast and no busy streets. Amed has (almost) no traffic and no public transportation, so the only real way of getting around is renting a motorbike. The village is home to one of the nicest and most pristine beaches in Bali, known as the Black Beauty. But the beaches aren’t all Amed has to offer- there are also some world-class diving sites which are also relatively unfrequented. Mount Batur is one of the most visited places in Bali but actually, you can get the best view of the mountain from Pinggan Village. Pinggan is an isolated village on the eastern coast of Bali where you can experience one of the most stunning views on the island- the view of the active volcano in a solitary, meditative setting. The view will make you feel like you’re floating in the sky where and the only thing you can see is Mount Batur towering over the clouds. Mende Hill is one of Bali’s lesser-known treks. The trek is relatively easy but the views from the top of the hill are absolutely marvelous. This route is becoming more popular among couples traveling to Bali because it’s one of those places where you can get lost and see no other humans for miles. It’s for people that want to wander off to places where the Wi-Fi is weak but the connection between them strengthens. The gardens of Sambangan hide in the northernmost part of Bali. These gardens lie off the beaten track in Bali mainly because in order to reach there you need either a) insane navigation skills or b) to be a local or have one with you. The gardens are basically a chain of azure pools and cascading waterfalls hidden deep within the lush rainforests of Northern Bali. If you would like to explore the whole area, you would need roughly (at least) 3-4 hours of walking. I really don’t know how this waterfall remained under the radar for so long, despite being so close to some other touristy spots, such as the Lekke Lekke and the Banyu Wana Amertha Waterfall. Bhuana Sari is actually the second setting of Banyu Wana Amertha. However, most people don’t make it here, probably because they aren’t aware that another divine waterfall exists, hidden deep inside the forest. Watching this waterfall burst out of the rocks suddenly as you’re walking in what seems to be a never-ending forest trek is a real surprise. If that’s not enough, the soothing flow of water and birds chirping in the background will surely make you feel like you’re becoming one with the surrounding nature. When you look at Bali’s map, these two almost identical lakes are probably the first thing you notice. They are tucked away in the lush rainforests in the north of Bali and see only a handful of visitors. These twin crater lakes with serene and mystical beauty are a life source for the surrounding communities. The two lakes are divided by the forest that stretches over an area of one kilometer. If you want to get the best view of the twin lakes, the best viewpoint is located in a nearby village named Asah Gobleg. The village falls well off the beaten track but trust me, it’s worth it. The charming, pristine village of Munduk is one of the most appealing mountain retreats in Bali. Tourism isn’t really a thing in this rural town and you’ll find only a few guesthouses and B&Bs. This, on the other hand, makes Munduk one of the last places on the island where you can get a traditional slice of Bali and Balinese culture. If you’re looking for hidden gems in Bali, definitely consider making Munduk your first stop. Outside of the town, you can also find some other off-the-beaten-track attractions, like Tanah Barak and the Melanting Waterfalls. Only a few people come to Munduk and most of them on a day trip. However, a lot of them end up spending at least a few days here and that says a lot about this place. Have you ever been to Bali? Did you check out some of these hidden gems? Let me know in the comments. Those are incredible!! We are planning on seeing Bali, hopefully in the next year or so. And that is a lot more than I thought we had to see on the island! How long would you say we need, to see everything you wrote about? What an amazing guide! I had gone to Bali and unfortunately one went to touristy spots like seminyak and Ubud. I would love to go back and see Suluban Cave.. it looked gorgeous! Thank you, Courtney- I hope you visit again. Oh. My. Gosh. Why does everyone only talk about the party and yoga scene in Bali (not that there’s anything wrong with those things)?? The beaches look lovely of course, but I’m really drawn to the waterfalls and caves as they add another dimension to what I had pictured Bali as previously. 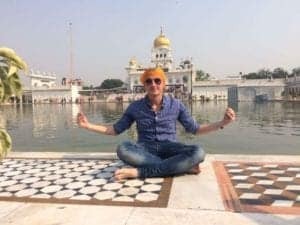 I can definitely see how digital nomads move there for years – there is so much to explore, I’d never want to leave either! This is a very comprehensive article. It is enlightening to know that you can get away from all the crowds etc in Bali. Can you stay close to Melasti Beach? My preference would also to spend time at Sideman before it becomes well known. Thanks for the great information. Thank you, Jane and I’m glad to hear you liked this post. Sure, there are some accommodation options near Melasti beach. 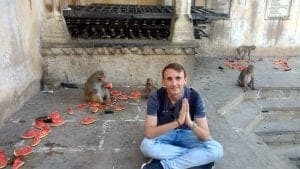 Apparently there are places in Bali that are still far from tourists. Don’t you think we need to keep it that way? Haha… Bhuana Sari Watefall is pretty and I want to visit Pemuteran and Melasti beaches. They still look pristine and far from crowded. We went to Suluban Cave two summers ago, and do you know that you can walk to the beach behind the cave when it’s low tide? That’s one good point 😀 Yes, that’s true- I remember I couldn’t do it a couple of years ago because of the water. I absolutely love your pictures from Bali! I fell in love with this place just by looking at them. I didn’t realize Bali gets so crowded. It’s good to know there are still a few places where you can get away from tourists. If I were to go I would surely choose to visit places like the Secret Gardens of Sambangan, or Melasti Beach. Thank you, Anda and I’m really glad to hear that. I hope you get the chance to visit sooner rather than later. What a wonderful post! We have done Bali many times but always stuck ot the mainstream places, villas, shopping etc…. I did say that the next time we went back we would do more of the other stuff and you have just put that all perfectly in one post for me! Those waterfalls looks sublime and I didn’t know about the cave in Sulubhan. Thank you, Amy and I’m glad you could get some useful tips from this article. I hope you get the chance to visit more of them during your next visit. Just when I was planning for Bali, I came across this. I am interested in offbeat places like Sidemen, Sukawati Canyon, Amed beach, the mysterious Yeh Leh beach, the secret waterfalls, and more. How many days do you suggest to spend in Ubud so I can visit most of these? I am surely spending 2 night separately in Sidemen. But I want an idea for Ubud. Thank you, Shreya and I’m glad you could get some useful tips from this post. I think that all these places can be covered in 3-4 weeks but keep in mind that Bali has some other touristy places which are also pretty. I can’t get enough of it even after visiting so many times. I have been to the Suluban Cave and yes, I would have to agree that it is really a gem. The limestone formation makes it really unique and breathtaking. Can’t wait to be back soon. It sure is, Clarice. I absolutely loved the cave. Now that’s a post I love! Every over crowded city has it’s secluded secret spots away from the tourists. I never gave much thought about Bali coz it’s just too touristy. Good to know of this lesser known Bali. Sambangan Gardens and Bhuana Sari Waterfalls would top my list within your list.